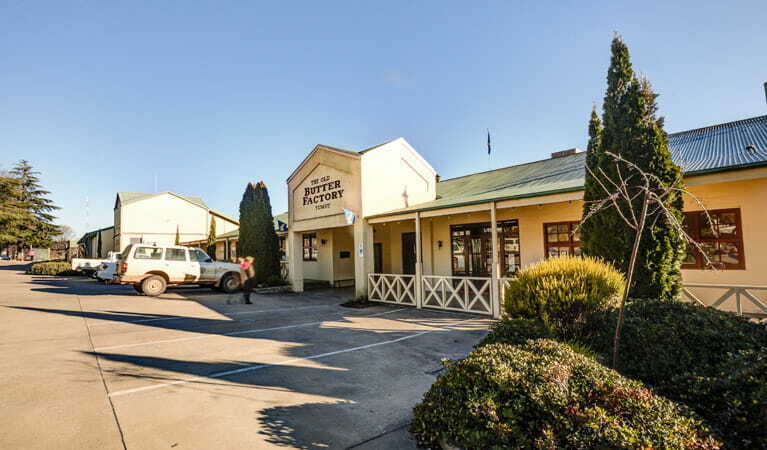 Tumut Visitor Centre, on Snowy Mountains Highway, is the ideal starting point for a visit to northern Kosciuszko National Park, offering information, booking services, and souvenirs. No park entry fees apply at the visitor centre. 9am to 5pm daily. Closed on Christmas Day. The visitor centre is located outside the park. Park entry fees apply within areas of Kosciuszko National Park. If you're planning a long hike or visiting a remote part of Kosciuszko National Park, drop into the visitor centre to complete a trip intention form and hire a PLB. 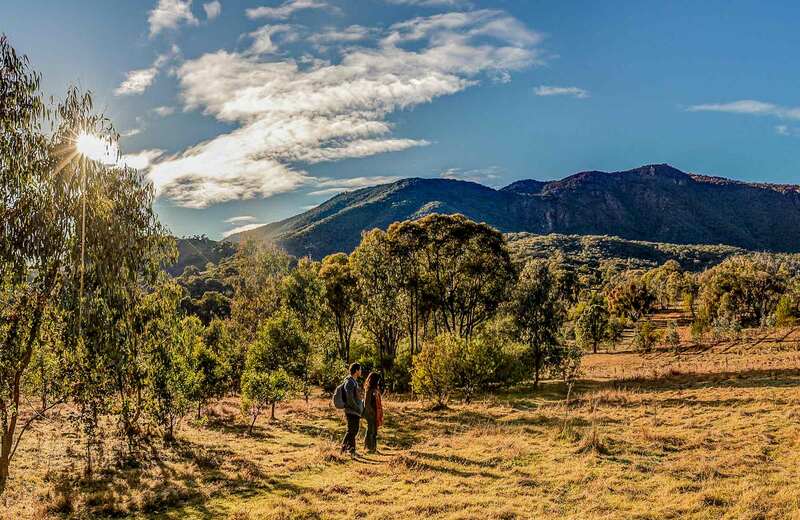 Northern Kosciusko National Park and Tumut Region covers a vast area: where to begin? 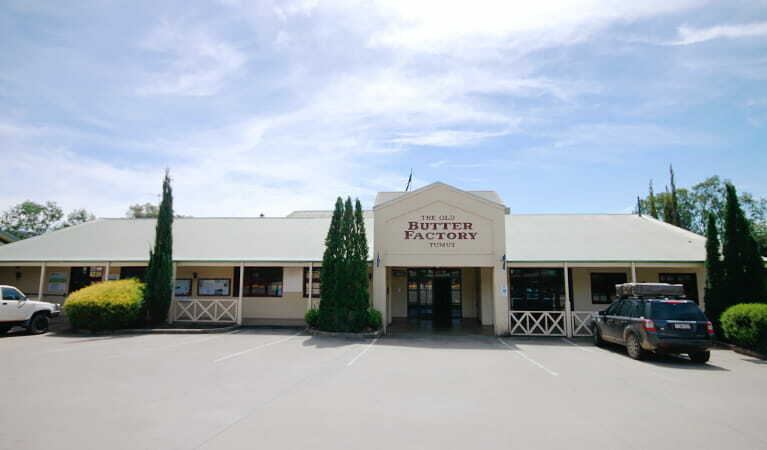 Your best bet is Tumut Visitor Centre, located a short drive from the park in Tumut's historic Old Butter Factory. 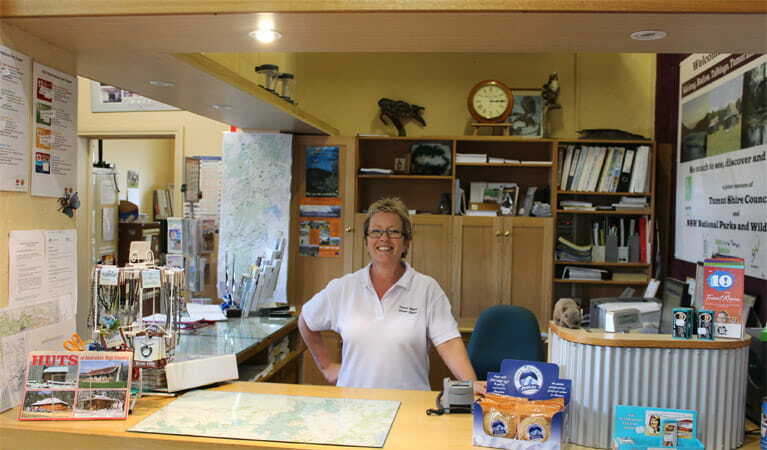 As well as a 24-hour tourism touch screen, and a retail shop stocking visitor guides, topographical and 4WD maps, you'll find friendly, knowledgeable staff who can offer great tips and help you plan your Kosciuszko adventure. Book accommodation, or get advice on road conditions, fire warnings and other important information about Kosciuszko National Park. 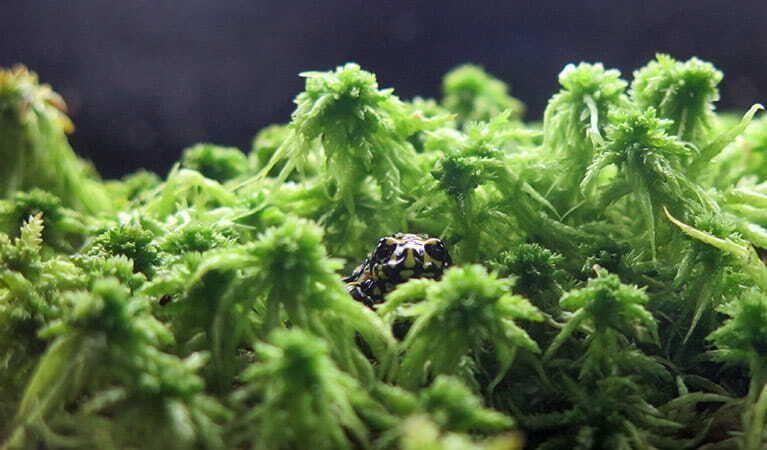 While you're here, don't miss the visitor centre's corroboree frogs on display or the local exhibition space. 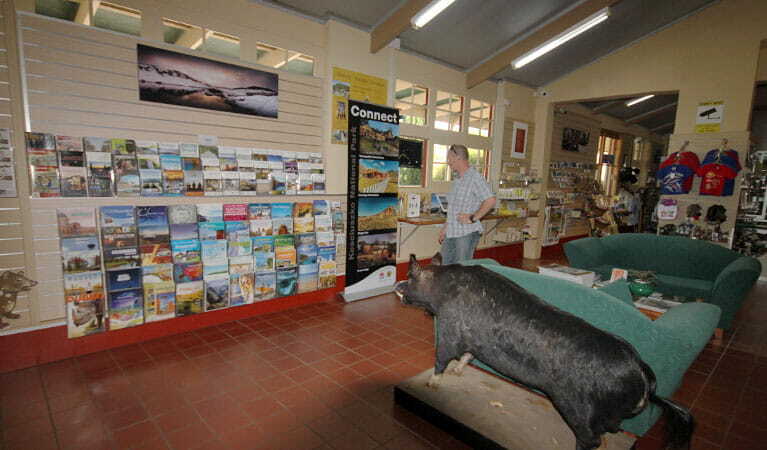 For something a little different, ask the visitor centre about guided tours in the national park. The Tumut area is open all year but some roads and trails may close due to weather conditions or park management issues. No park entry fees apply in the Tumut area. See vehicle entry fees for other areas in Kosciuszko National Park.